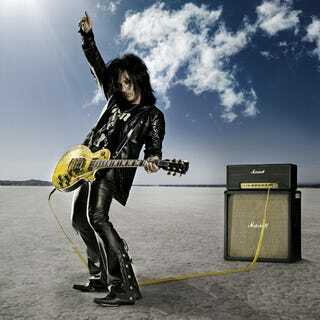 Steve Stevens isn't a particularly well known musician, but if you've listened to any Billy Idol you've probably heard his guitar. The freaky sounding guitar/ray gun/synth sound you're hearing on "Rebel Yell" is just Stevens on an electric car playing while rocking his amp with his foot. He's probably most recognizable, though, as the guitarist for the Top Gun Anthem, which Ray is going to be playing when he drives up to the Gov's Mansion — at least in our minds. What's he driving? We asked you and so far Gearhead_42 has the best/strangest answer. What Would You Drive To Your Governor&apos;s Office Reunion?